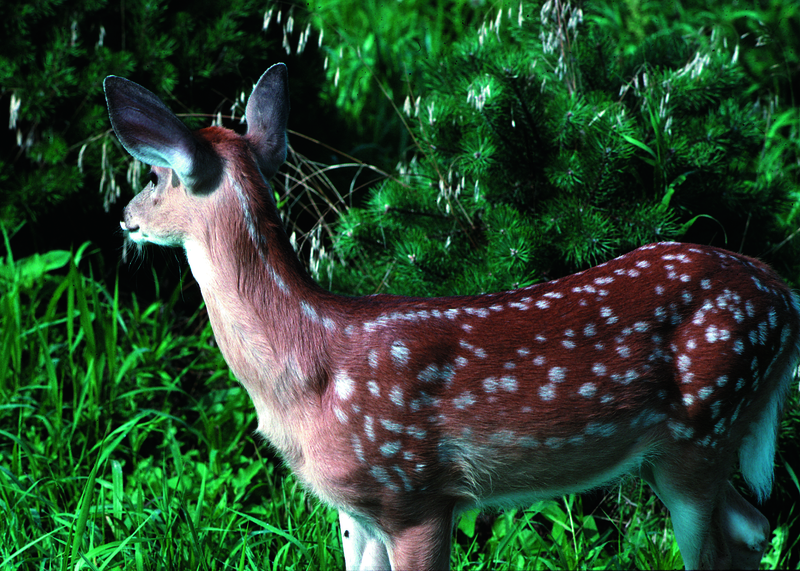 Quebec health officials reported an outbreak of the parasitic infection, toxoplasmosis, in a at least six hunters who consumed the deer meat they killed during a hunting trip to the United States last November-December. Fawn whitetail deer. Image/Lynn Betts, USDA Natural Resources Conservation Service. This hunter had left with nine other hunters, including five others who have also presented with symptoms. The similarity of symptoms and clinical signs of the six sick hunters exhibited a common etiology. The source of the contamination was identified to be undercooked meat from white-tailed deer harvested in Illinois. Testing was performed for leptospirosis, hepatitis E, brucellosis, tularemia and toxoplasmosis. The results of the serologies were compatible with an acute Toxoplasma gondii infection in all cases (presence of IgM antibodies or seroconversion of antibodies IgG negative to positive; the avidity of IgG, when tested, was low, indicating a recent infection). This is the first case of toxoplasmosis outbreak in Quebec associated with the consumption of deer meat. So this is frightening for Wisconsinites as infection can be obtained by eating undercooked deer meat as well as it’s been found in Castor bean ticks which can potentially be spread here by migrating birds. Furthermore, this study on the castor bean tick found “Borrelia lusitaniae, Borrelia spielmanii, Borrelia garinii, Anaplasma phagocytophilum,and Rickettsia helvetica in both midgut and salivary glands with Rickettsia felis only detected in salivary glands suggesting that the migration of these pathogens between these two organs might not be triggered by the blood meal. https://parasitesandvectors.biomedcentral.com/articles/10.1186/s13071-019-3418-7. Plain English – transmission could happen much more quickly. I. ricinus can also transmit a number of pathogens including Babesia divergens (babesiosis), louping ill virus, tick-borne encephalitis virus, Borrelia burgdorferi (Lyme disease) and Anaplasma phagocytophila (tick-borne fever of ruminants, human granulocytic anaplasmosis).